NEWYORK.NET - Domain on Auction on Bido - Ends Wed 07/06, 3:00pm EDT So Good They Named It Twice! A truly superb geo domain. as a financial,cultural,transportation,and manufacturing center,and for its history as a gateway for immigration to the United States. for the 17th century Duke of York, James Stuart, future James II and VII of England and Scotland. present-day capital of Albany in 1614. The Dutch soon also settled New Amsterdam and parts of the Hudson River Valley, establishing the colony of New Netherland. The British took over the colony by annexation in 1664. The borders of the British colony, the Province of New York, were roughly similar to those of the present-day state. About one third of all the battles of the Revolutionary War took place in New York. New York became an independent state on July 9, 1776, and enacted its constitution in 1777. The state ratified the United States Constitution on July 26, 1788 to become the eleventh state of the union. 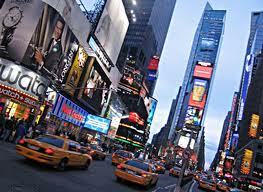 New York is also a state in the Northeastern region of the United States. It is the nation's third most populous state. New York is bordered by New Jersey and Pennsylvania to the south, and by Connecticut, Massachusetts and Vermont to the east. it from New York City.